9215 - This couple is ready to pedal their way down the road to romance. 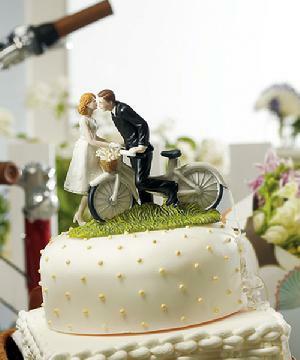 The old fashioned bicycle and basket, and the bride's knee-length dress add just the right amount of vintage flair to this playful cake topper. Hand painted porcelain. 14cm x 13cm.